The Rinse & Fill is a water bottle filling station that can be used for filling larger bottles (1 gallon & over) as well as sanitizing the bottles before filling. The Rinse & Fill includes a bottle rinsing unit that uses ozone injected water to sanitize before filling. The Rinse & Fill is often used in retail or commercial water bottling operations such as water stores and water bottling plants, but can be used in many other drinking water operations. 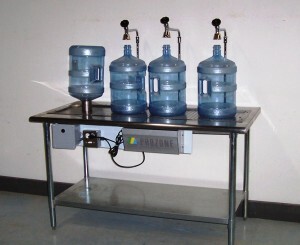 The Rinse & Fill water bottle filling station is an all in one combination filling and sanitation station. It is very user friendly and can be combined with multiple units to accommodate various sized bottling operations to fill various sized bottles and containers. 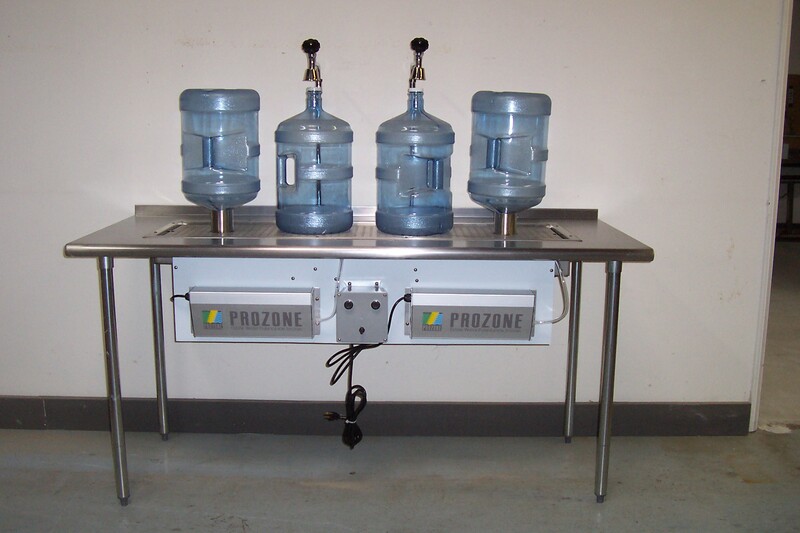 The ozone rinsing station is controlled by a timed push button for ease of use and to prevent excess and overuse of ozone injected rinse water. The sanitation process is executed through a high pressure spray of pure water with highly concentrated ozone injection, killing any biological contaminants in the bottle or container. Ozone sanitation kills 99.9% of contaminants and is residue free making it the best method for sanitizing drinking water bottles. The Rinse & Fill water bottle filling station can be configured in two setups; 1 sanitizer & 3 faucets or 2 sanitizers & 2 faucets. Additionally, the Rinse & Fill station can be interfaced with additional units to accommodate various bottling projects. All Rinse & Fill units are manufactured upon order allowing them to be customized for you individual application such as configuration and electrical style. The Rinse & Fill water bottle filling station is currently used in drinking water operations worldwide and is also used in US Embassies in various countries. High quality stainless steel work table; NSF approved. 110V 50/60Hz or 220 50/60Hz operation. Please specify when ordering. 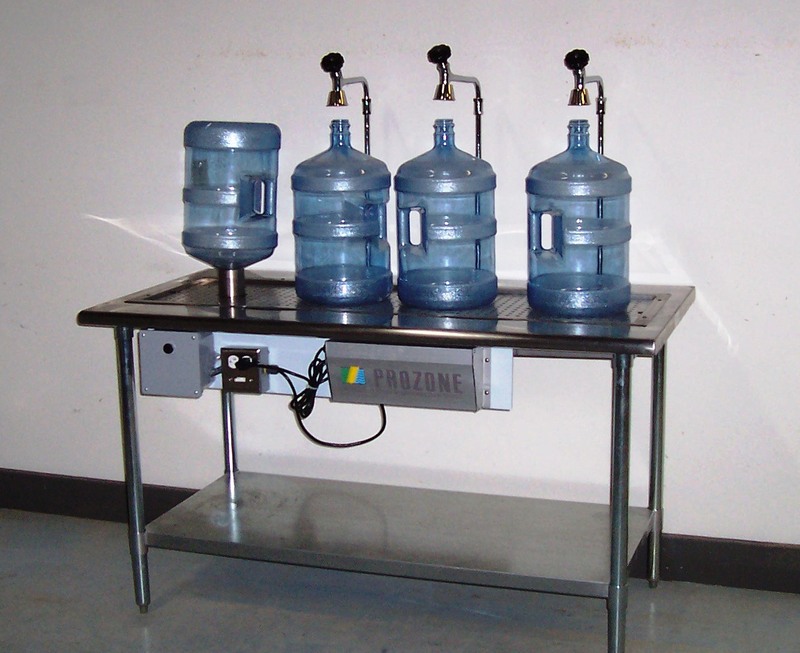 For more information on this water bottling station please call us at (760) 744-4800 or email us at info@waterbusiness.com.